The current mergers and acquisitions (M&A) market may present once-in-a-lifetime exit opportunities, but not every business owner is prepared for what lies ahead. Countless owners and founders find themselves “business rich” but “cash poor” by the time they go to market. To help these individuals plan ahead for success, Offit Kurman attorney Lauren A. Jenkins will be offering insights and advice at an upcoming Quantive Business Valuations event. The event, titled “Pre-sale Liquidity Planning,” will take place on Thursday, April 18th from 7:30 to 9:00 am. Following a 30-minute open networking session, Ms. Jenkins will be presenting as part of a panel of financial managers, accountants, and planners, including CPA Douglas Trueheart as well as Uday J. Shah and Zachary A. Cohen of U.S. Trust, Bank of America Private Wealth. The panel will discuss the challenges of balancing an owner’s goals with goals for the business, the benefits and drawbacks of different exit options, and how to develop a plan that encompasses estate planning, tax planning, philanthropy, and post-sale wealth planning. Attendees will also learn how to get “unstuck” and take substantive action during the pre-sale process. To learn more and register for the Quantive event, click here. 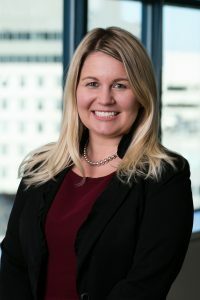 To contact Lauren Jenkins, please visit her Offit Kurman attorney page.